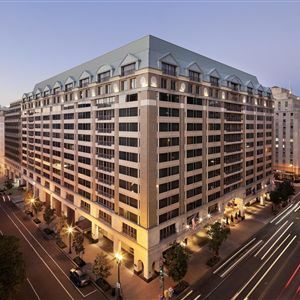 Property Location A stay at Grand Hyatt Washington places you in the heart of Washington, walking distance from Ford's Theater and National Portrait Gallery. This 4-star hotel is close to White House and Washington Monument. Rooms Make yourself at home in one of the 897 air-conditioned rooms featuring refrigerators and iPod docking stations. Your room comes with a pillowtop bed. Wired and wireless Internet access is complimentary, while 42-inch LCD televisions with cable programming provide entertainment. Bathrooms have designer toiletries and hair dryers. Amenities Make use of convenient amenities such as complimentary wireless Internet access, concierge services, and babysitting/childcare (surcharge). Additional features at this hotel include gift shops/newsstands, wedding services, and a television in a common area. Dining Enjoy a meal at one of the hotel's dining establishments, which include 2 restaurants and a coffee shop/café. From your room, you can also access room service (during limited hours). Quench your thirst with your favorite drink at a bar/lounge. Business, Other Amenities Featured amenities include a business center, limo/town car service, and express check-in. 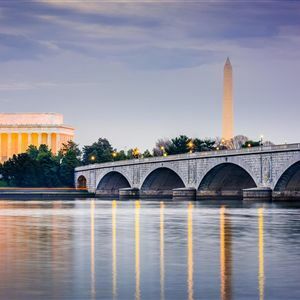 Planning an event in Washington? This hotel has 44000 square feet (4088 square meters) of space consisting of conference space and meeting rooms. Self parking (subject to charges) is available onsite. A stay at Grand Hyatt Washington places you in the heart of Washington, walking distance from Ford's Theater and National Portrait Gallery. This 4-star hotel is close to White House and Washington Monument. Make yourself at home in one of the 897 air-conditioned rooms featuring refrigerators and iPod docking stations. Your room comes with a pillowtop bed. Wired and wireless Internet access is complimentary, while 42-inch LCD televisions with cable programming provide entertainment. Bathrooms have designer toiletries and hair dryers. Make use of convenient amenities such as complimentary wireless Internet access, concierge services, and babysitting/childcare (surcharge). Additional features at this hotel include gift shops/newsstands, wedding services, and a television in a common area.